You are at:Home»Lifestyle»Wellness/State of Mind»Feeling Stressed? Take Control! We have all experienced stress in our lives, right? According to Richard S. Lazarus (a pioneer in the study of emotions and stress who was named by American Psychologist as one of the most influential psychologists), stress is a condition or feeling experienced when a person perceives that demands exceed the personal and social resources the individual is able to summon. Thus, not having enough experience or resources to handle the stressors paired with a negative perception of the situation are the true culprits of feeling stressed. The simple realization that you’re in control of your thoughts is the foundation of managing your stress. Managing stress is all about taking control of your thoughts, emotions, attitude, schedule, and the way you deal with problems. Stress management starts with identifying the sources of stress in your life. Until you accept responsibility for the role you play in creating or maintaining it, your stress level will remain outside your control. Do you cope with your stress in unhealthy ways that make the problem worse? Some approaches to temporarily alleviate stress may actually cause more long-lasting damage. These include: smoking, drinking, using drugs, overeating, procrastinating, wasting time in front of the TV or computer, lashing out at others, and taking on too many tasks to fill time and not have time to think about the stress. There are also many healthy ways to deal with stress, but they all require you to change. You can either change the stressful situation or change how you react to it. One solution is to eliminate stressors. For example, learn to not take on too many responsibilities. Having a full plate is undoubtedly stressful. Eliminate as much as you can. Choose your activities, environment, and friends wisely. If you are aware that certain activities, places, and people stress you out unnecessarily, then avoid them. If you can’t avoid a stressful situation, try to change it and your attitude about it. Being open-minded and optimistic does wonders for the soul. If you approach situations with a positive attitude, you alter the energy around you. People and situations will respond in like. Your emotional and physical health is not worth sweating the small stuff. Smile, forgive, and let it go. It is also important to take time for yourself each day. Some healthy ways to relax and feel better include exercising (even just taking your pet for a walk), spending time over coffee/tea with nurturing friends, writing in a journal, taking a long bath, listening to your favorite music, reading a good book, or indulging in any other healthy hobbies. It’s also important to maintain a healthy lifestyle to help your body fight off the negative effects of stress. Remember the importance of eating a healthy diet—including reducing caffeine and sugar, exercising regularly, avoiding cigarettes, drugs, and alcohol, and getting enough sleep. None of these suggestions are new. We’ve all heard them before, but it’s important to periodically be reminded of them. Your thoughts, attitude, and actions are so much more powerful than any stressor can ever be. If you perceive it as a problem, it will be. If you perceive it as an opportunity for growth and change, then it can be. In essence, YOU can control your stress and keep it manageable. actor/producer/college professor - Tisha Rivera was born in Orange County, California, in a suburb of Los Angeles. She began taking acting classes as a child and was cast in her first television commercial at age 8. She continued her commitment to studying the acting craft while completing her college and graduate school education. She became a college professor at age 22 and finished her doctoral coursework in Psychology at age 24. 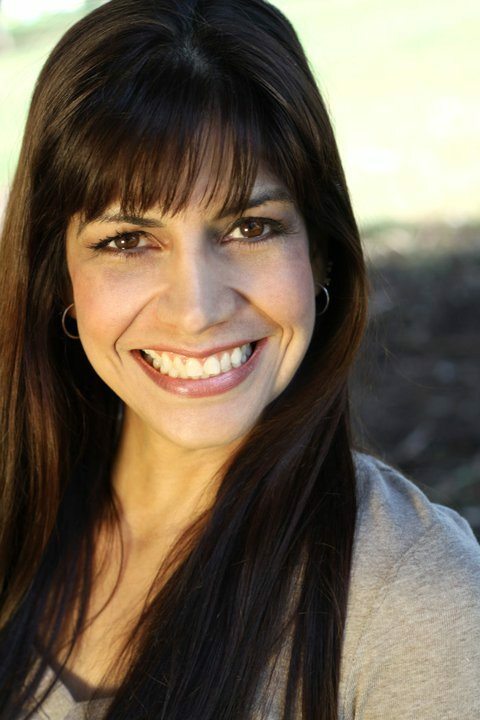 She has studied acting and trained with many distinguished coaches in Los Angeles. Her talent, positive attitude, and strong work ethic are attributed to her landing almost three dozen roles on independent films and television shows. Tisha remains committed to working on television and film projects as both an actor and producer.